Many IT professionals, especially younger ones, are clueless about the mainframe. 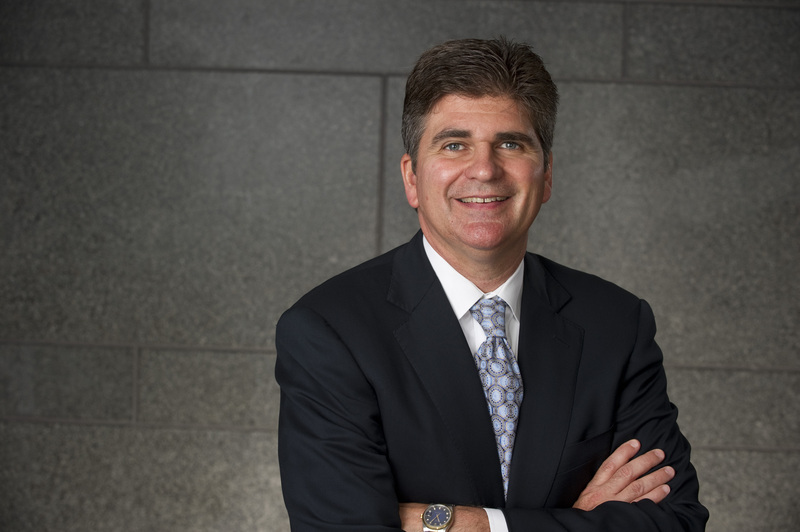 Chris O’Malley, president of the mainframe business at Compuware, has met CIOs who are versed in everything about IT and have seemingly done everything there is with computers, but “they are not literate about the mainframe.” That means the mainframe never comes to mind. IBM could give away a zEnterprise for free, which it comes close to doing today through the System z Solution Edition program and these CIOs would ignore it. O’Malley wants to address that. In response, Compuware is following the path of the IBM System z Academic Initiative, but without the extensive global involvement of colleges and universities, with a program called Mainframe Excellence 2025, which it describes as a generational call for strategic platform stewardship. “We’re also trying to debunk a lot of issues around the mainframe,” O’Malley continues. Compuware refers to Mainframe Excellence 2025 as a manifesto, something of a call to arms for millennials to storm the IT gates and liberate IT management from enslavement to x86 computing. Somehow DancingDinosaur doesn’t see it happening exactly that way; it envisions coexistence and synergy. Most of the Mainframe Excellence document goes over ground DancingDinosaur and many others have covered before. It is delightful, however, to see others refreshing the arguments. And, the document adds some interesting data. For instance, over 1.15 million CICS transactions are executed on System z every second of every day! That’s more than all Google searches, YouTube views, Facebook likes, and Twitter tweets combined. It also pays homage to what it refers to as the mainframe’s culture of excellence. It characterizes this culture by rigorous adherence to a standard of excellence demonstrably higher than that associated with other platforms, notably x86. IT organizations actually expect, accept, and plan for problems and patches in other platforms (think Microsoft Patch Tuesday). Mainframe professionals, on the other hand, have zero-tolerance for downtime and system failures and the mainframe generally lives up to those high expectations. Ironically, the document points out that the culture of excellence has created a certain chasm between mainframe professionals and the rest of IT. In fact, this ingrained zero-failure culture of the mainframe community—including both vendors and enterprise IT staffs—can sometimes put it at odds with the very spirit of innovation that allows the mainframe to deliver the repeated advances in price/performance and new capabilities that consistently produce tremendous value. Fully inventory existing mainframe data, applications (including business rules), capacity, utilization/MSUs and management tools, a veritable trove a value embedded in mainframe code and business rules. Build a fact-based skills plan with a realistic timeline. Ramp up current and road-mapped mainframe capabilities. Rightsize investments in mainframe application stewardship. Institute an immediate moratorium on short-term cost-cutting that carries long-term negative consequences. Combat denial and hype in regards to non-mainframe platform capabilities, costs and risks. And Compuware’s final thought should give encouragement to all those who must respond to the mainframe-costs-too-much complaint: IT has a long history of under-estimating real TCO and marginal costs for new platforms while over-estimating their benefits. A more sober assessment of these platforms will make the strategic value and economic advantages of the mainframe much more evident in comparison. 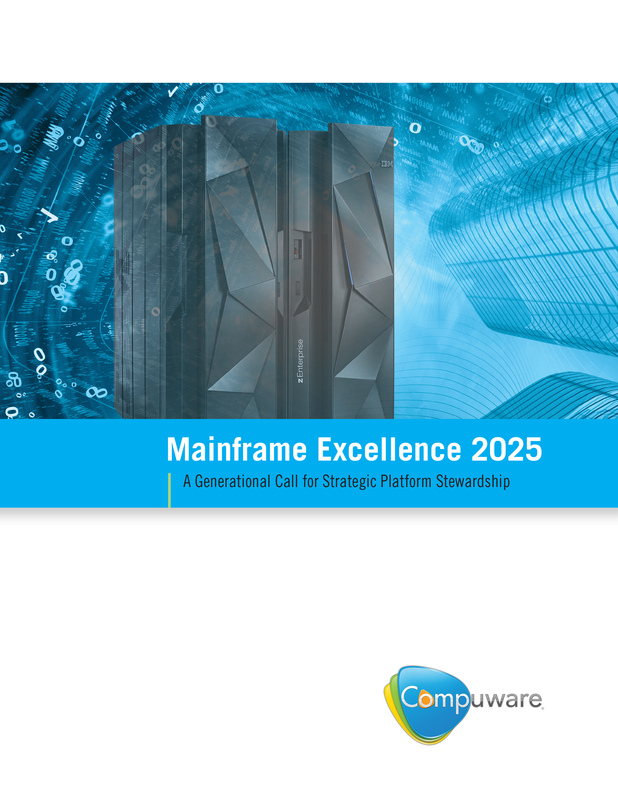 Compuware certainly is on the right track with Mainframe Excellence 2025. Would like, however, to see the company coordinate its efforts with the System z Academic Initiative, the Master the Mainframe effort, and such. DancingDinosaur is Alan Radding, a veteran IT writer/analyst. You can follow DancingDinosaur on Twitter, @mainframeblog. Also check out my other IT writing at Technologywriter.com and here. This entry was posted on November 13, 2014 at 8:40 pm and is filed under Uncategorized. You can follow any responses to this entry through the RSS 2.0 feed. You can leave a response, or trackback from your own site. I wish you all possible success in this. it’s one of my crusades and I do everything I can to steer young technical types to a mainframe career. The dinosaurs ruled for millions of years. The modern IBM mainframe’s barely 50.